Crude and Natural Gas are still the engines of the world and one of the most precious natural resources for governments and companies alike. 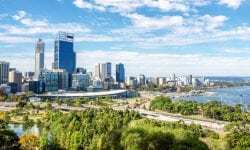 In fact, globally, the total crude and condensate production from announced and planned global offshore projects is expected to be around 8.1 million barrels per day (mmbd) of crude and about 47.3 billion cubic feet per day (bcfd) of natural gas by 2025, according to GlobalData. The company’s latest report, “Q2 2018 Production and Capital Expenditure Outlook for Key Planned and Announced Upstream Projects in Global Offshore Industry – Brazil Leads in Planned Projects Count’’, presents an insight in future strategic decisions about the extraction of this natural resource, while also reveals that a proposed capital expenditure (capex) of US$201 billion is expected to be spent on the development of global offshore planned projects, and US$361 billion is expected to be spent on key announced offshore projects. Globally, 375 planned and announced offshore crude and natural gas projects are expected to commence operations in 52 countries during the period 2018–2025. 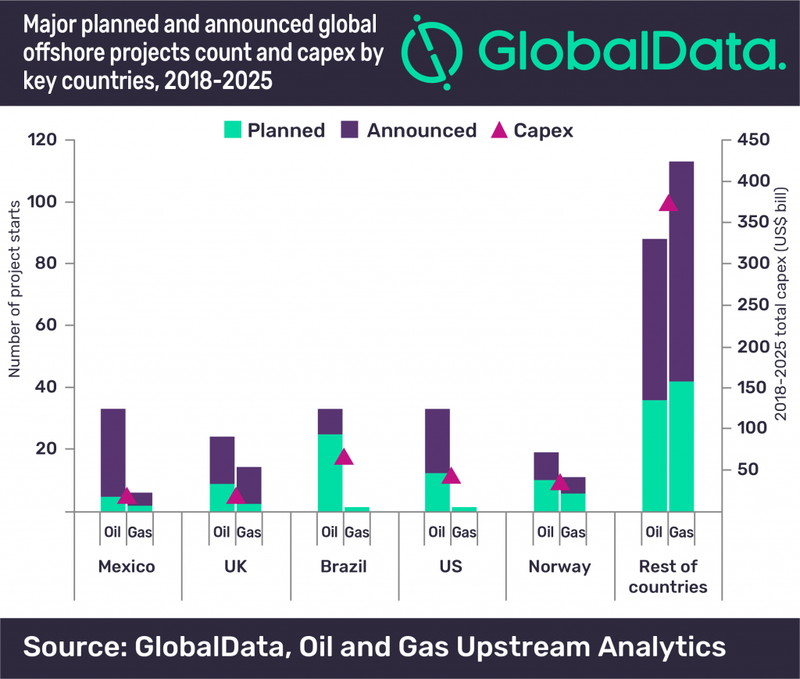 Although Brazil leads the planned projects count, in terms of the total number of upcoming global offshore oil and gas projects expected to start operations during the period 2018-2025, Mexico leads with 39 planned and announced projects followed by the UK with 38 and Brazil with 34. The leading operators of these offshore projects are Petroleos Mexicanos with the highest operatorship of 32 planned and announced projects, Petroleo Brasileiro SA have 23 and CNOOC Ltd 15. On the other hand of the report and in terms of total spend Royal Dutch Shell Plc, Petroleo Brasileiro SA and Exxon Mobil Corp have the highest level of spending on the upcoming planned and announced projects with US$55.3 billion, US$38.9 billion and US$38.1 billion, respectively.